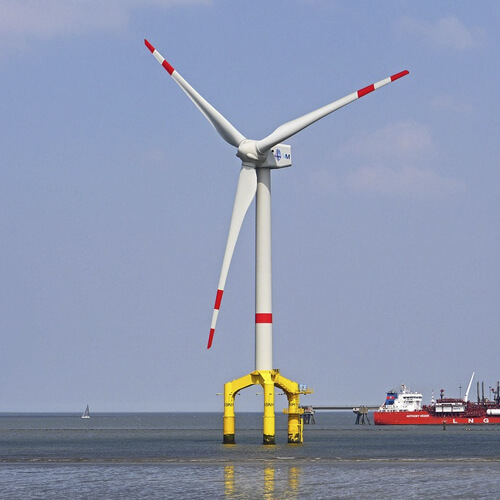 A new report claims offshore wind will be critical in meeting our future energy needs. The report by the Low Carbon Innovation Coordination Group (LCICG) says off-shore wind will be vital in replacing aging power plants, saving up to £89bn from the UK’s energy bill, and has the potential to take a large share of a global £1 trillion market by 2050. As well as reducing reliance on imported gas and meeting GHG emissions and renewable energy targets, offshore wind could offer business opportunities of up to £35bn to UK companies. The report also predicts that by 2050 offshore wind could deliver c.20-50% of total UK electricity generation. The UK has a large natural resource of wind power around its coast, and offshore wind power is a commercially available, proven technology to capture this resource. But the report highlights that offshore wind power is currently a relatively high cost source of energy. How much and how quickly it is deployed will depend on how successful innovation is in reducing costs.